As the colder and wet winds move in the UK. I think it may be officially Autumn. Now, as you may know from last year’s posts and you can check them here. I am obsessed with Autumn. I love the colours and how cosy it feels in the lead up to Winter. Last week I posted a great blog on How to bring Autumn into your home. It has some quick, simple and cost effective ways to embrace Autumn in your home. Layered fashion, gorgeous knits, beanies, scarves and pom poms. Hot chocolate and stews while it blows a gail. Closing the curtains and turning on some cosy lights. Lighting the million candles you own. I’m sure I’m not the only one ready for it? So, for all of us who love to embrace this crispy, red, orange and brown season I have put together a bucket list. Some tips and tricks on how to fully enjoy Autumn and make the most of it. Yes, I know everyone carves pumpkins at Halloween and so on. However, there are so many amazing painted pumpkin ideas out there. Maybe you could paint it to match a room in your home, to add some extra decor to your home. Maybe you could paint a favourite cartoon character or even just get the kids handprints on it. For a cute family feel. A great idea for really little ones who wouldn’t be able to carve one. Either way painting pumpkins is on the list. This should be an annual life choice to be fair! However, last year, in rural Wiltshire, I actually struggled to find somewhere that offered both of these options. I was thinking a pub may offer this but it was harder to find than I thought it would be. If you know somewhere in the South West area ler me know in the comments. I mean is there anything better than being toasty on the outside and inside while enjoying sweet chocolate??? Without a shadow of a doubt I will tick this off in 2018, who’s with me? Is there anything better than finding those gorgeous views? Even better when it looks like a fiery fairytale right. There is always something beautiful to enjoy and look at. Finding a new Autumn walk will not only be beautiful but why not take the kids. Autumn collecting and playing in piles of leaves. Is there really anything better? I’m looking forward to finding somewhere beautiful for us to visit this Autumn. I mean locations such as or will just blow your mind in this season. However, we dont always have time to jet set right? So, find somewhere local to enjoy and make sure to take your flask my loves. Baking is one of the best ways to enjoy Autumn for many reasons. One is that leaves your home smelling gorgeous. Two is you get to enjoy all the yummy stuff you bake. This year I would love to make some super Autumn themed biscuits and I’m actually thinking leaf shaped ones. Some cool icing or frosting. Just simple but nice. Also, seasonal fruit crumbles or pies are another great way to embrace Autumn in your home. Letting the kids make Autumn Art with leaves and cones etc, is a great way to get the kids enjoying this season. Finding leaves and creating prints is fun. Simply paint and press the leaves onto paper. Or perhaps make some cute hedgehog cones instead. Keep your eyes peeled on my craft section as I will adding some great kids Autumn crafts there soon. We will 100% getting our craft on this season. Yes, who can not wait to rock cute Autumn outfits? Yellows, reds, berries, oranges and browns. Layering cute jumpers and scarves. This year’s double coat trend? Is it for you? Metallics and lovely knits. BOOTS! I don’t know anyone not ready for a good bit of Autumn Fashion. I also look forward to seeing what new trends will emerge this year. Yay for Autumn fashion! Who isn’t obsessed with a good scented candle? I won’t lie I am a little obsessed with vanilla scented anything so usually go for that. Are you the same? This year however, I want to use candles to help enjoy the Autumn season. Be sure to grab one new scent you haven’t tried. Perhaps a gorgeous spiced apple or go full blown fall with a pumpkin spice. Either way what’s better than curling up in a blanket. Putting a great movie on and lighting up some gorgeous candles. Throw in a face mask to help your skin and you’re there my loves, Autumn paradise. Who doesn’t love a festive and seasonal coffee? Who doesn’t necessarily love the prices attached to our favourite take away coffee brands seasonal coffee? Well why not make some at home? This year I will be doing this and I will share it with you soon so you’re able to enjoy your very own at home Autumn Coffee. I have a feeling it may be too good!! Being from the countryside this is relatively easy for me. I mean 30 foot from my door is about, I just counted 7 I could see from the window but I know there are more, horse chestnut tree. Better known as a conker tree. I definately want to get the kids out there and just enjoying a while pile of leaves. Jumping in them throwing them and letting the wind catch them. Just some simple Autumn fun. Being so busy all the time can be hard when you’re a book worm. Parenting, working, keeping up with house work, running errands and visiting family and friends. We are all so busy and it can leave little time for book works to sit and enjoy a book. If you’re like me then you read for ten minutes then start nodding of to sleep. Not because you’re bored but more relaxed than ever. Then before you know it zzz. This is part of the reason I love Jim Chapman – 147 Things as it allows you to read at your own pace and is pact with soooo many incredible facts. This year though I am determined to put the time aside to read a good book. You should too even if just thirty minutes here and there. There you have a very full and fun Autumn season. This is not including Halloween which we know I go OTT for. That will obviously be coming in October. I will have cute and easy Halloween looks. Some great crafts for the kids and have already got a great idea for this year’s Halloween feast. 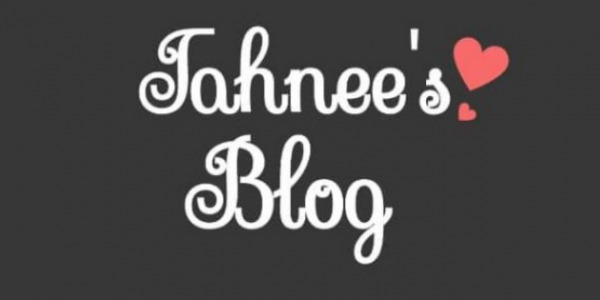 To be sure you stay up to date with all the exiting things coming to Tahnee’s Blog you can follow my social media. That way you can see when I post new blogs and also see more of the products I’m loving. Trends and great outfit and makeup inspo. With a good dash of humour and real life thrown in. Come say hi my loves.